Frank and Petra are working together in their Studio in Port Hope. 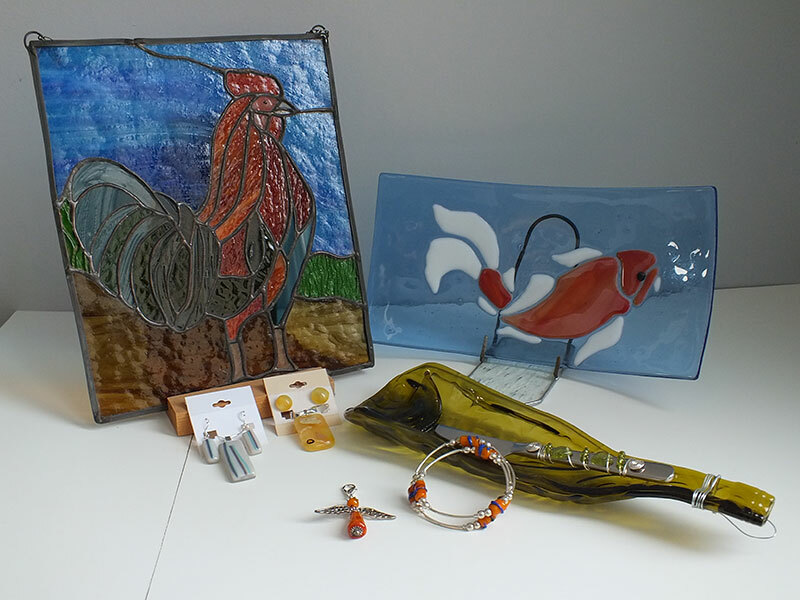 Petra does Stained Glass Art and Frank likes everything “Hot Glass”, from fused glass to Lamp work. They work together on designs, colors and execution. When you enter their home you will see finished Art, exhibited throughout the rooms. It will give you ideas what would work in your home. Most of Petra’s art is custom made. The customer contributes the ideas, and tells them where is will go, then we will draw up designs and make suggestions for the colors. It is very much a collaboration of minds. 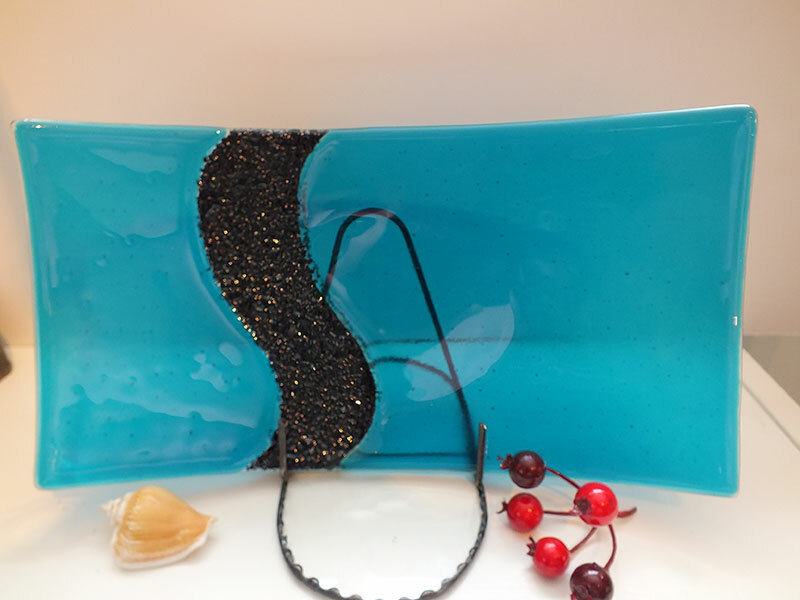 Frank designs his jewelry, dishes and beads with color and texture in mind. His compositions are unique and always changing. He enjoys working with heat if it is through the kiln or a blow torch. He uses every technique intermixing components in his creations. My studio is NOT wheelchair accessible. I have washrooms available.